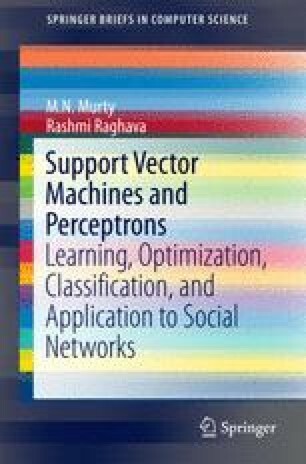 Support vector machine (SVM) is the most popular classifier based on a linear discriminant function. It is ideally suited for binary classification. It has been studied extensively in several pattern recognition applications and in data mining. It has become a baseline standard for classification because of excellent software packages that have been developed systematically over the past three decades. In this chapter, we introduce SVM-based classification and some of the essential properties related to classification. Specifically we deal with linear SVM that is ideally suited to deal with linearly separable classes.